Antigua, Guatemala, is a city surrounded by rolling mountains and cloud-touching dormant volcanoes. As you enter the city you observe that the streets are lined with continuous walls and an occasional gate. It’s hard to tell what lies beyond the walls…until you enter through a gate. When we first pulled up in front of our hotel I thought we were at the wrong place. The gate was modest, and I couldn’t see what was beyond it. I couldn’t know what was waiting for us on the other side. When the gatekeeper opened the gate, my perspective changed immediately—I discovered a completely different environment. When I entered through the gate, I was surprised by the quiet. As I was soothed by a serene courtyard, I was drawn further in by a beckoning doorway. 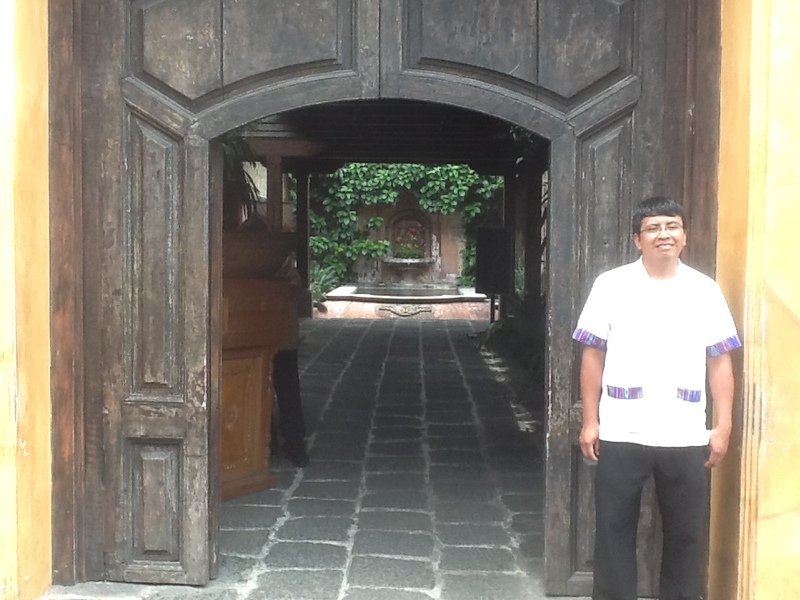 Through this doorway, I was captivated by the architecture, plush gardens, and flowing pools. From the outside I never would have imagined the beauty, calm, and serenity I was now experiencing. It was a stark contrast from the environment outside of the walls. This experience reminded me of my relationship with the Lord. He is the gatekeeper and he continually invites me into places that at first don’t seem exciting or appealing…sometimes the places even seem risky or uncomfortable. My comfort zone is often challenged as the Lord asks me to trust Him. But as I enter in, taking that next step of faith, He surprises me with treasures I never anticipated. Certainly I could not imagine the beauty and wonder planned for me through the gate of humility that breaches the wall of pride. I have been recently challenged by the Lord to walk through the gate of humility by changing my role—from a position of organizational authority to a position of influence. The Lord then brought me through the doorway of identity, which required letting go of title, position, power, and control. Perhaps you have been walking along a wall of pride; look for the gate of humility and its keeper! He stands ready to offer us entrance if our hearts are humble (Romans 12). Next comes the offer to walk through the doorway of identity—to be re-imaged completely into the likeness of Jesus Christ. Rooting our identity in Christ alone will grant us freedom from all the false identities that we may have created for our own security. Recognizing who you are not. Understanding that you need other people. With God’s strength we can discover who we truly are, in light of who He is, which ultimately brings understanding of how much we need others in our lives. As we pass through the doorway of identity, we can enjoy the bounty of God’s inner garden. The worldly things we may give up cannot compare to the treasure of freedom we will discover there! This kind of freedom has no fear, and it is a catalyst to fulfilling what God designed for us. The walls of pride, the gateway of humility, and the doorway of identity: a necessary passage for all of us who follow Christ. Don’t be left out in the street, always wondering what lies on the other side of the wall. Step through the gate and continue through the doorway. The risk is nothing compared to the treasure.